It’s the most wonderful time of the year! The time of camp socks, warm drinks, sitting by the fire, looking at the lights...just being cozy and warm. Yet with the holiday season fast approaching, the impending deadline of shopping for those special people in your life is starting to linger over your head. There’s gift guides for just about everyone on your list, but this guide is for the conservationist in your life! Whether they choose to wear it when they’re lounging around on the couch in the early morning, or when they’re hiking up a mountain, a sweatshirt is the perfect gift! May I suggest one of the super comfy ones from ACC? 10/10 would recommend. Hiking in one of our amazing National Parks? Going on a run? Working on a killer blog post? The conservationist in your life needs to stay hydrated! 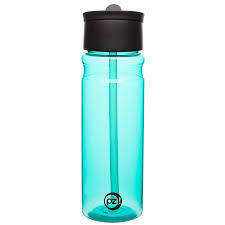 What better way than a reusable (preferably glass) water bottle! Because What would Teddy Do? Duh. Get the conservationist in your life the one item that even Teddy Roosevelt would approve of. When the conservationist in your life isn’t out trekking a mountain, they’re probably on their phone, or computer, or Ipad, or just drinking water. What better way to show the world how much they love the environment than with a hella cool sticker? 10/10 would recommend the Save the Bees sticker from ACC. Messy hair? Want to protect your head from the elements? Just want to look cool while promoting the environment? Get a baseball cap for the special conservationist in your life. Trust me. They’ll love it. National Parks are cool. Let the conservationist in your life log their travels in this awesome log book.